I tend to stay away from books by younger bloggers, having been disappointed in their content more than once. They all seemed to be written by the same person! However, the title drew me in to read this book... or I should say the subtitle. 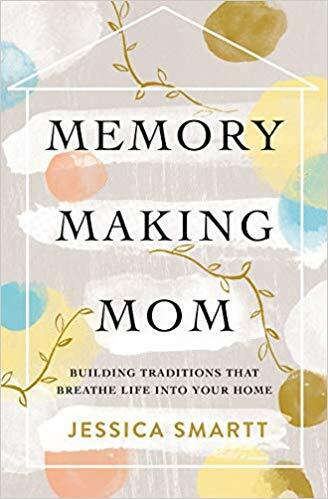 The subtitle of Memory Making Mom is "Building Traditions that Breathe Life Into Your Home". The making of traditions was important to me when my children were growing up, to leave them with good memories of family life. I am happy to say that this book did not disappoint me at all. It is a very enjoyable book to read through regardless of where one is in the raising of families. 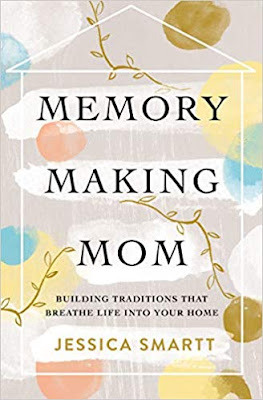 In the book, Jessica Smartt shares the stories of how building traditions became important to her, what these traditions are, and a book full of practical ideas for ways the reader can incorporate traditions in their own homes. However, if it was just another book about traditions, then I wouldn't have enjoyed it as much as I did. For it is also a book about discovering the importance of beauty in everyday life. The author had me the first time she quoted Edith Schaeffer. I highly recommend Memory Making Mom for all families. In particular for the younger mom who needs to understand the desire for beauty is within all of God's creation. It is a book to read through at least once and then return to over and over for practical suggestions for making your own traditions. Memory Making Mom was provided by the publisher for the sake of review but the opinions are my own. Your description of many writers of a certain age all sounding alike has me grinning. I concur. How good that this is a book for moms/parents to enjoy and use for the edification of their children and families. Such books are needed. I read a number of reviews and most agree that this is a top-notch book with real tips and suggestions. This might make a great gift at baby showers...Get moms thinking early.